While some wait for Hainan to become a totally duty-free shopping island, property developers are busily purchasing local farmland at a price for which they believe they can make a big profit in the near future. The farmers are not unhappy because they have never seen so much money before in their lives. It is probably the last time that Wang Suiqiong will graze his 30 black sheep on the land he has sold in tropical Sanya’s Haitang Bay, 30 kilometers to the east of the postcard city. The 60-year-old farmer sold his 667 square meters (sq m) of pasture to the local government at a price of 70,000 yuan ($10,495). For Wang, the sum is what he would earn if he planted rice where sheep have been eating grass for 140 years. Wang and his neighbors are "very happy with the price and can’t wait to sell their land", even if they have no idea what they would do for a living in the future. "The highest price that the local government offers is about 90,000 yuan per mu (667 sq m) and the average (price) is from 70,000 to 80,000 yuan," he said. "I was told a five-star hotel will be built there in three years. Now they’re asking whether I would consider selling the land where my family and I stay," Wang said, pointing to the opposite side. "I’m thinking about it." "Of course they’re thrilled to sell. These local farmers and fishermen have never seen so much money in their lives before. It’s safe to say that Haitang Bay’s house prices will easily reach 150,000 yuan a square meter in three to five years when the farmland is turned into private villas and luxury hotels," said veteran property agent Chen Tianshan. Chen’s real estate company, Sanya Zhongtiwantong Olympic Land Development Co Ltd, is about to spend more than 5 billion yuan on Haitang Bay’s Olympic Bay project. He said the project would include an Olympic park, an Olympic museum, two resorts as well as professional training centers for future Olympians. While Sanya’s Yalong Bay and Sanya Bay appear to be the hottest spots for both international and domestic tourists, another emerging star – Haitang Bay – is under construction. With more than 21 kilometers (km) of beautiful sandy beach, every inch of land is being developed to help make a first-class resort. "It’s Sanya’s last virgin land and it is a future ace resort," said Li Boqing, vice-mayor of Sanya. "So far, Haitang Bay has attracted more than 24 billion yuan in real estate investment." The expected big increase in visitors to Haitang Bay has not gone unnoticed by hoteliers across the world. On the other end of the bay, the American hospitality company Hilton Worldwide is preparing for the opening ceremony of its two properties under different brand names – Conrad and Doubletree – on Dec 28. Hilton might be the first to open along the bay, but it will definitely not be the only one. Its international competitors, Shangri-La, Kempinski, Sofitel, Fairmont, Grand Hyatt and InterContinental, are eager for their slice of the pie. "There will be 25 five-star and two seven-star hotels in Haitang Bay in 10 years. 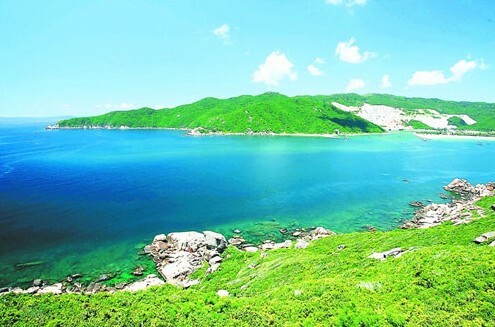 Think about it: In all of Sanya there are only 24 five-star hotels at the moment," said Chen Minjian, deputy director of Sanya Tourism Industry Development Bureau. "Right now, 15 of these 27 hotels are under construction or being opened." "That’s why Hilton introduced both Conrad and Doubletree brands in a bid to cater for different guest groups. Future competition will be fierce," said Gerd Knaust, general manager of Conrad and Doubletree Sanya Haitang Bay. According to Knaust, Doubletree is aimed at families and tourist groups while Conrad is what businessman look for during their work breaks. The risk is less when both types of guests are taken good care of. Rather than worrying about the competition between first-tier hoteliers, Sanya Changdao Tourism Ltd’s Vice-General Manager Feng Zhigang is happy about the scale of Haitang Bay’s "hotel community". "The bigger we are, the more guests we’ll have," said Feng, who has just signed off two hotel properties with Starwood’s Sheraton and Luxury Collection brands. "Tourists will come to us if we have all the best branded hotels available in one bay." Feng, a Beijinger, came to Sanya three years ago especially for Haitang Bay’s hotel projects. "Our parent company, China Sigma Co Ltd, which specializes in high-end golf resorts, hotels and real estate development, founded Sanya Changdao Tourism Ltd just for this project," he said. "The thing is Haitang Bay has what Yalong Bay lacks – it has not only packages of hotels, but also a duty-free shopping center, yacht club, golf course, sea world, wetland park and cinemas, even a good hospital and church. When you stay at Yalong Bay, it’s easy to get bored since there’s nothing apart from the beach, but here – never," said Feng. The South China Film and Television City will be built in the bay with a film studio open to visitors as much as possible. At a cost of 7 billion yuan, the local government also started to construct seven small folk towns on the bay in a bid to appease not only local culture and customs but also to attract tourists. As a result, the local 38,000 residents do not have to move out of the bay as the towns are expected to provide scenic spots for tourism and job opportunities for local people under the development plan. Haitang Bay is also home to new policy experiments, according to Feng. 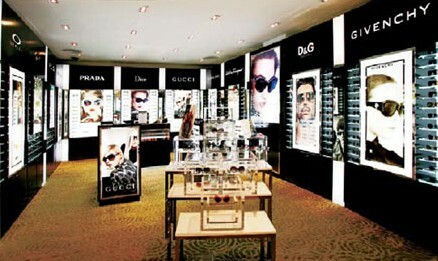 The 250,000-sq-m duty-free shopping center has just been assigned to China Duty Free Group Co Ltd, the only State-owned duty-free company in China. With around 96 percent of Sanya’s tourists being Chinese, domestic travelers have good reasons to look forward to the upcoming Hainan duty-free policy to allow them into the shopping paradise. The State Council gave the nod to Hainan authorities to explore the possibility of allowing domestic tourists from outside Hainan to enjoy duty-free shopping on the island earlier this year.